Carpincho leather is manufactured from the soft hide of the (Hydrochoerus hydrochaeris) Carpincho is Portuguese, which means ‘water pig’, and is also known and universally Capybara. The Capybara is a South American, semi-aquatic mammal and is very unusual in other parts of the world. In Argentina, they live in the northern parts of Argentina, some parts of Brazil and Paraguay. Most crafters feel the best specimens are found in Argentina. Their habitat is in the marshy swamp grounds and rivers of the Corrientes Province. The Capybara is not an endangered however Argentina strictly regulates the harvesting and exporting of any of these animal hide byproducts. Every product is required to be certificated and proven as ‘farm raised’ and only then can a Capybara product or hide be processed through to the next phase of its transport. 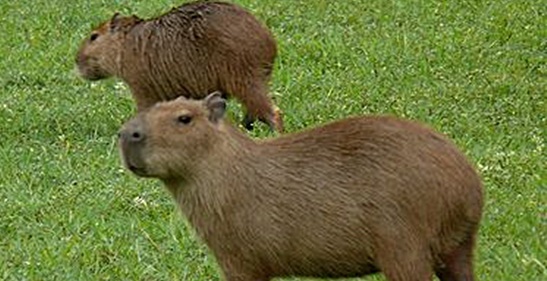 In fact, Argentina is the only manufacturing exporter in the world of Capybara products. The spots on the Carpincho leather are natural hair follicles and any hide scars are part of the animal’s history of growth. All hides have these characteristics. It is best to remember animal hides and skins are made by nature, meaning they are not perfect, each one being unique. If you are looking for a flawless leather, hide or skin, you will need to look for a man-made (machine made) or simulated product. It is interesting to point out that counterfeit Capybara products have become more widespread throughout the international marketplace. It is because the animal hides are so strictly regulated, they are very difficult for the Artisan to procure. Worldwide these stunningly beautiful Carpincho products are only exported from one country, Argentina. No other country in the world are they legally crafted or exported. For these reasons in addition to many other factors, the Carpincho counterfeit market has found a niche in mainstream shopping in Europe and South America. It can, at times, take a trained eye to note the difference in authentic and look alike, so we can give you a few buying tips. First and foremost, imperfections such as scares or hide irregularities are often times the best sign you are looking at a genuine Capybara product. Secondly, the price should reflex is authenticity and rarity. In the example photograph below, you will see how structured and symmetrical the simulated the hair hole fascicles are spaced with even pattern and depth. This dull, flat looking finish will not have a soft, buttery texture but rather a stiff, ruff feel. Carpincho leather has been compared to the finest leathers in the world such as reptile, ostrich and crocodile. You may find that it reminds you of suede but much more buttery, soft and supple. It is very delicate to the touch, however to the contrary of what you may think, Capincho hide's durability surpasses any leather product in today‘s market place. It is actually its softness, durability and characteristic dots that make this leather so exclusive and sought after by connoisseurs of exotic hides, world around. AS YOU CAN SEE, NATURAL CAPYBARA HIDE IS NOT PERFECT AND SYMMETRICAL. FOR EXAMPLE, HAVING SPOTS OVER THE ENTIRE PIECE. ONLY WHERE HAIR HAD ONCE GREW WILL THERE BE SPOTS.. THIS CAN BE COMPARED TO OSTRICH HIDES, THEIR RAISED SPOTS ARE ONLY WHERE THERE WERE FEATHERS ON THE BIRD. SCRATCHES OR SCARS ARE USUALLY PRESENT AND NORMALLY THOSE PIECES, WITH NATURAL HIDE CHARACTERISTICS, ARE USED FOR THE REAR SIDE OR BOTTOM OF THE PRODUCT. THE BEST PORTION OF THE HIDES ARE USED TO CRAFT THE FRONT OR TOP. COSMETIC BAG SETS * WALLETS * WRIST-LETS * AND MANY MORE ACCESSORIES ONLINE! 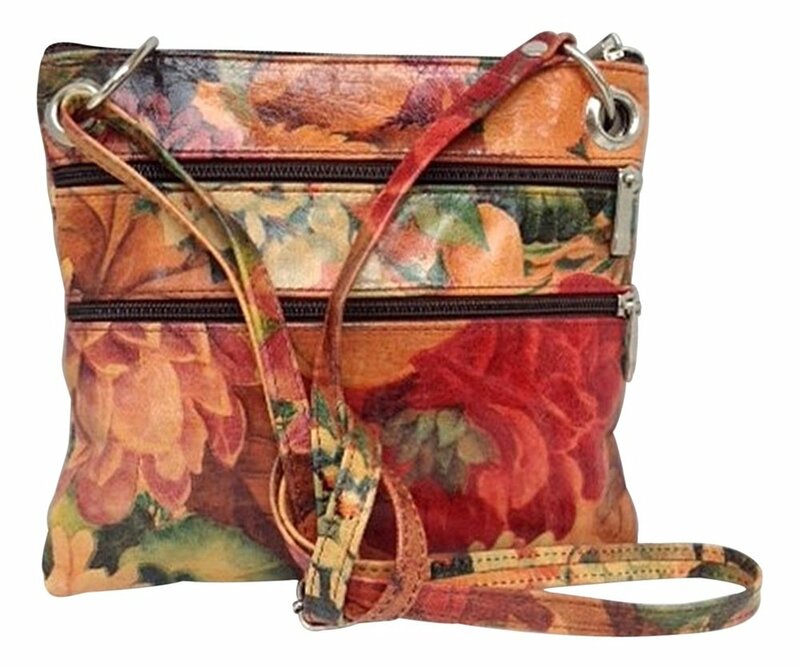 NEW CROSS-BODY STYLED BAGS FOR ALL THOSE BUSY GALS WHO NEED ‘HANDS FREE’! IS YOUR LEATHER REALLY LEATHER ??? It seems this might be somewhat of a strange question to ask but ..... are these leather goods, genuine leather? The tag states "leather" ??? doesn't that mean authentic, genuine cowhide leather? There are huge differences in leather products.just because the tag or label says genuine leather' or leather product, does not mean what you think it means! For many reasons & marketing purposes, merchandise labels & tags can be marked as 'real' leather, however are not really. In an effort to sidestep less appealing terminology, as well as some not so truthful wording, 'real' leather may not be genuine or authentic cowhide. we will elaborate and explain. You see, leather can be labeled "leather" if it is genuine or fake. some examples of genuine leather product labels may have any of the following terms; full grain, corrected grain, top grain, split grain, choice grain, compressed leather parts or pieced leather. or in the case of fake or only having a part genuine leather, you could see some of these deceptive terms; leather product, pu leather (which is synthetic, man made leather looking material), synthetic, faux leather, & artificial leather, genuine man made leather .... the list can go on & on. so don't be fooled! Read on for a few pointers before shopping. This short read will arm you with some valuable information. Although learning how leather grading is done and how the leather tanneries work, is a fascinating subject, the only important point you need to know as a consumer is just a few basics! By remembering a few tips before shopping, you can avoid over paying for inferior or imitation leather goods. thus you should always ask; 'is this leather really leather'? Since we now know, "leather" doesn't always mean genuine, authentic cowhide leather! Many countries around the world are well known for their fair trade practices, ethical planet & harvesting practices as well as those countries who are well versed in the art of deception & false representations! Always check the retailers return policies. Does the retailer offer 100% customer satisfaction? Does the seller stand by its product after the sale has been transacted? Is it hand stitched or hand assisted by machine stitched? does it appear to have individual stitches? or does it look to be sown with one long, continuous thread? is it top stitched, double stitched and does it have an age worthy thread type? Sown by hand or hand assisted sowing is best! However, if the sowing is done solely by machine, having long continuous stitching, that's considered mass produced. The problem with this method of sowing is, if one stitch pops, the entire row of stitching will shortly thereafter unravel as well. inquire about thread type. Cheap thread will not stand the test of time. Nylon, poly & waxed threads are the most durable. You can have an authentic leather bag but if the thread is not quality, your beautiful handbag will fall apart. Does it smell like cowhide? Does it feel like natural cowhide? is it smooth, soft & supple? does it look or feel like plastic or as if there is some sort of coating on it? Does the leather appear to have natural marking representative of its authenticity? Does it appear to have natural flaws or does it appear too perfect for the price? made by machine of synthetic materials will look just as the one sitting beside the piece you are inspecting. 'perfect'. ARGENTINE ARTESANALES GIVE NEW MEANING TO THE PHRASE, "HAND CRAFTED" ! In the beginning, this incredible craft was used by Argentina's native Inhabitants and “gauchos”, the South American cowboy. Leather braiding with raw materials is the most traditional of all the Argentine handicrafts. The technique of tiento leather braiding has been passed down through many century's, from generation to generation. . Using of raw leather, which is often referred to as rawhide, is cowhide in its natural state, completely ecological, without any chemical components. Thus each hide keeps its natural coloring as well as the unique characteristics of that animals hide, such as skin scars. This unique craft is a slow process, with many steps, each being fundamental in producing a high quality product for a lifetime of use. To braid different tones and colors, the leather strips (“tientos”) are dyed with natural pigments. The leather strip braiding is also called awl braiding since that is the name of the crafter hand tool used. This is an amazing, detailed handicraft which requires a great amount of skill in using the thin, fragile strips of hand cut raw leather for every piece. When making knives, the handles are worked with the same age old techniques, quality criteria and standards as is applied to all Artesian braided creations. It is by following a meticulous process that all our end products are guaranteed authentic & 'the real deal'! By the skilled hands of the knife crafter's, great measures are carefully checked to assure that the lines of continuity of the blade and the handle match. The perfect alignment of the blade and its handle is always perfect. It is the alignment which determines how the piece is perceived: both in proportion and aesthetically perfect by both eye and exact measurements. An excellent knife not only has to show continuity between its parts but also “bolster balance”, which provides equilibrium between the weight of the handle and the blade, or to say, with perfect balance! Rawhide Leather Belts with Hand Sown Top Stitching Details! Adjustable with Alpaca silver inter-changeable buckles. Eel leather is remarkably smooth and supple, lightweight and two to three times stronger than cowhide leather. Eel skin is referred to as 'the silk of the sea' for its silky, smooth, shimmering colors. And ... over time and use, the soft supple skin becomes even more luxurious! Each product piece has its own uniquely natural variations in markings, color & texture, keeping in mind, it is a skin from its wild environment, not factory produced! You may have been told that old wise-tail ... Eel skin demagnetizes your credit cards. Or eel skin will 'set off' alarms at airports. Really? NO, forget about all that ridiculousness! You will absolutely love any eel skin product you purchase! Mother's Day is not only for remembering Moms but for all those women in our lives that are so important! Here are few gift giving ideas along with a special discount code. Wrist-let or Grab & Go Bag! Perfect for the 'on the go gal'! It is Springtime again and the season of newness, gives way to beautiful new trends in fashion and style. With Springtime birthdays, Easter & Passover, Mothers Day and Graduations for most of us, we thought it a good time to highlight some of our newest pieces of wearable art as well as offer you some unique gift giving ideas! EEL SKIN ALSO KNOWN AS THE 'SILK OF THE SEA' IS AN OUTSTANDING CHOICE IF YOU WANT A WALLET THAT LASTS! CLICK THIS LINK FOR MORE INFORMATION. AN AWESOME BELT MADE OF HEAVY BRIDLE LEATHER WITH A SOLID BRASS BUCKLE. THIS MIGHT BE THE LAST BELT YOU EVER BUY! CLICK HERE FOR DETAILS & SIZING. South America, especially Argentina, is known for their unique, authentic, hand crafted Gaucho knives! There are several styles of Argentine knives, each style being made for a particular use and function. Depending on the knife style & intended use, a blade is crafted to compliment and complete every piece. Therefore it would be of interest to know the differences between carbon steel and stainless steel knife blades. When it comes to knife blades, there is a laundry list of metals that can be used. But generally speaking, there are two classifications in knife blades, stainless or high carbon steel knife blades. Each has their pros and cons and for the most part, you are just trading the shortcomings of one with the strength of the other. It all comes down to what you are willing to sacrifice on and what you are hoping to get. But which knife blade is stainless and which ones is high carbon? Stainless steel blades generally have at least 12% chromium which does two things for the blade. This makes the blade able to resist rust and corrosion a lot better than high carbon blades but the downside is stainless steel is generally softer than high carbon knives. This means that although they are relatively easier to sharpen, they also tend to lose their edge just a tad quicker than harder, high carbon blades. Some of the most widely used stainless steel blades include 440’s (A, B and C), AUS 6, 8 and 10 and of course the Japanese made VG-10 which is one of the most sought after blades in the world. But stainless steel blades are definitely not perfect. So here are the advantages of stainless steel blades. Durability. Stainless steel knife blades are generally tougher than high carbon blades. Tougher but not necessarily harder. There is an ongoing debate between the definitions of the two because, for the longest time, they have been considered synonyms. Stainless steel blades do not rust, chip or stain easily. Technically speaking, stainless steel can still rust but it resists it a lot better than high carbon knives. Flavor Preservation. Stainless steel knives do not require any protective or non-stick coating so there is less chance of contaminating your food is you do use it for food preparation. Stainless steel also tends not to leach off its metallic properties onto your food. Some discerning pallets sometimes can tell if the knife used in the preparation of the food was high carbon because it sometimes leaves that slight metallic taste. Recyclable. Stainless steel is one of the most recyclable materials today. They are in fact almost everywhere metal is used. This means that if you do happen to wreck your knife, which is quite hard to do with stainless steel, you can always have it recycled. It’s a simple way of helping Mother Earth. Appearance. Of course, the biggest pull of stainless steel knives is the fact that they look good for a very long time. Less time used in maintaining the knife gives you more time to do what it is you like to do. Carbon is the hardest element and knife blades made from high carbon steel is no exception. The strength and hardness of the blade makes it ideal for edge retention which means less time required for edge maintaining the blade but since it does not have a drop of chromium, it has a very poor rust resistance capability. This means that you need to thoroughly clean the knife after use and make sure that you guard it against moisture before you store it. More commonly used on fixed blade knives, high carbon knife blades are known to last throughout the years. I would bet my bottom dollar that you’re grand-daddy’s fixed blade knife blade is made from some kind of high carbon steel, most likely 1095. There are a lot of professional chefs and survivalist that swears to the quality of high carbon steel blades but here is a short list of the advantages of having a high carbon blade on your knife. Sharpness. There is simply no matching the sharpness that high carbon steel blades have. With skill and a lot of time, you can get a stainless steel knife sharp but not to the level that high carbon steel blades. That added level of sharpness allows you better precision in cutting and requires a lot less effort thus making the knife a lot safer. This is the main reason why professional chefs still prefer high carbon steel for their personal knives. Affordable. Of course, the price of a knife generally depends on various factors, but high carbon steel knives tend to be a lot more affordable than their stainless steel counterparts. I didn’t use the word cheaper because you might get the wrong idea. High carbon steel blades are cheaper in price, not in quality. Hardness. High carbon steel blades are a lot harder than stainless steel which makes it a lot more dependable on precision cuts. Most blades for hunting knives are made from high carbon steel specifically because of this reason. One may argue that high carbon rust easier which makes it a terrible choice for an outdoors environment but that can easily be resolved by some proper knife maintenance. Edge Retention. Because they are harder, they also tend to hold their crazy sharp edge longer. This means that you do not have to worry about sharpening your knife every 5 minutes and you know that you will cut through anything especially when you need it most. One thing’s for sure, you can skin a deer faster with a carbon steel blade that a stainless steel one. As with almost everything in the knife world, it all depends on what you prefer. No blade is perfect. There will be something that a blade will have and lack. It all depends on what are you willing to give and sacrifice for what you aim to gain. Stainless steel may be recyclable but high carbon blades will not burn a hole in your pocket. High carbon steel may be harder that stainless steel but stainless steel chip a lot less than high carbon. When it comes to looks, some prefer that clean shiny look of stainless while some appreciates the patina of a high carbon knife that shows that it has a lot of experience. As they say, to each his own. Alpaca is a single coated animal, and the fiber generally does not have to be dehaired like cashmere, llama, camel, qiviut, and yak. This leads to greater yields of fiber after processing. Alpaca fiber comes in two types, huacaya and suri. There are differences in the two: huacaya fiber has crimpy waves and grows in bundles, while suri fiber is straight and grows in locks. Huacaya reflects light as brightness, suri reflects light as luster. Alpaca is flame resistant, meeting the standards of the US Consumer Product Safety Commission’s rigid testing specifications as a Class 1 fiber, the safest level of flame resistance for use in clothing and furnishings. Alpaca is free of lanolin, and thus can be processed without the need for high temperatures or harsh chemicals in washing. The lack of lanolin also minimizes the likelihood of allergic reactions to those who are sensitive to wool, which contains lanolin. While the type of fabric dictates the level of thermal insulating properties, alpaca fiber has a high natural thermal conductivity level, but also can “breathe” due to its lighter weight by volume. When it comes to knife blades, there is a laundry list of metals that can be used. But generally speaking, there are two classifications in knife blades, stainless or high carbon steel knife blades. Stunning architecture, cosmopolitan atmosphere, the latest fashions and trends, intimate side walk cafes, a prized destination for savvy world travelers: it’s no wonder that Buenos Aires is often called the South American Paris! It is the most European city on the western shores of the Atlantic. The Argentinian capital is characterized by its wide boulevards and Haussmann architecture, meaning an architectural copy of Paris, France, is stunningly breath-taking! A city of approximately 3 million, they are of a proud Italian and Spanish heritage. However, this sophisticated Argentine city is not concerned with imitating the inimitable French city; its people would much rather celebrate their own rich culture and live up to their hot, steamy reputation! Visitors will enjoy European charm, South American warmth, and unique Buenos Aires vibrancy! The 'capital', as it is usually referred to, is the most influential and populous cities in all of South America. It is a true cultural hub known for their serious attention to beef steaks & Melbac wines, hand crafted leather goods & regional handy crafts, dancing the Tango and 'The King of Sports - polo! There is much to explore in Buenos Aires: whether you love history and architecture, dance and music, or shopping, this Argentine city promises to be a glamorous, exciting trip full of surprises and probably the trip of your lifetime! The knife is an indispensable tool for the gaucho (Argentine cowboy), used both to work and to eat the huge cuts of meat from the 'pampas lands' they are so famous for. WE HAVE MANY SUGGESTIONS FOR GIFT GIVING IDEAS For Him or Her ! BEAUTIFUL, HARD TO FIND, AUTHENTIC 100% GENUINE CARPINCHO HIDE WALLETS, HAND CRAFTED IN ARGENTINA!